A few hours ago we concluded two spirited weeks of Camp Gan Israel 2018. Close to 50 children had a unforgettable summer experience. Thanks to our incredible group of staff from Brooklyn and El Paso, we were able to deliver high powered Judaism in such a fashion that the kids loved every minute of it. I am often asked why most Chabad camps throughout the world have the same name, and why specifically that name. Although it is certainly good marketing practices to have a unified brand, every Chabad camp operates independently, but is so similar for the same reason - the name. 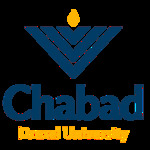 In 1956, the Lubavitcher Rebbe established the first Chabad overnight camp in the Catskills in upstate New York. The name given was “Gan Yisrael” which literally means “the Garden of Israel.” The name Yisrael is a tribute to the founder of the Chassidic movement Rabbi Yisrael Baal Shem Tov. The Rebbe explained that the children in the camp will be educated in the spirit of the Baal Shem Tov. And just as saplings growing in a garden benefit from every small enhancement of their treatment, the campers in Camp Gan Israel will blossom and grow as a result of the few short weeks they are educated in the Baal Shem Tov’s ways. The single overnight camp morphed into a giant network of overnight and day camps all over the world that provide an awesome summer experience to hundreds of thousands of campers each year. And most importantly, enable them to benefit from the refreshing Jewish energy pulsing through every part of the daily schedule. The essence of the Baal Shem Tov’s teachings can be found in this week’s parsha. Moshe declares to the Israelites, “You are the children of G‑d” (Deuteronomy 14:1). Those four words (in the original Hebrew) found their greatest expression and meaning when the Baal Shem Tov started to reveal the true essence of a Jew. A child does not lose his or her birth rite due to circumstances or bad choices. Regardless of how far away a child may run, Mom and Dad yearn for their return and love them throughout. He would travel to Jewish communities far and wide, reach out to the simple and forgotten Jews to encourage and inspire them to serve G‑d in the best way they could. He revealed the academic and emotional framework through which we are capable of viewing every Jew for the pure essence of their soul. It is this spirit that animates every Camp Gan Israel in the world and it is this passion that fueled the last two weeks of Jewish pride and power here in El Paso. It is our greatest blessing to see the campers take what they have learned, share it with others and live up to these ideals throughout the year. Thank you to our supporters, friends and volunteers for making this year’s camp a reality and we look forward to feeling the camp spirit throughout the year.